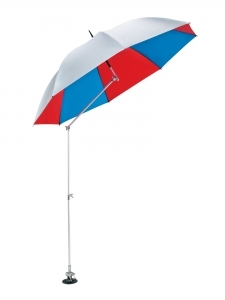 The umbrella ribs adopt a sturdy black solid material that resists rust. A wide version of King Parasol, with a diameter 150 cm. 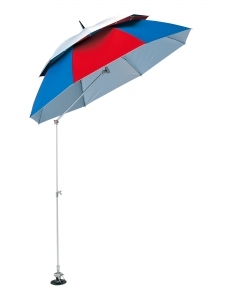 A wide version of King Parasol 150, provided with a wind hole. Cool and comfortable, provided with a wind hole. A double-type parasol to protect yourself against hot sun as well as rain and wind, indispensable for raft fishing and hera-crucian fishing. A cool and comfortable parasol ensuring excellent ventilation. Indispensable for fishing in the scorching sun. 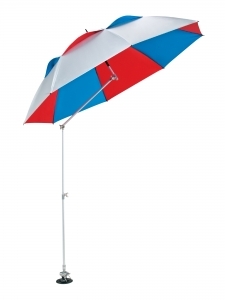 A cool and comfortable double-type parasol ensuring excellent ventilation. 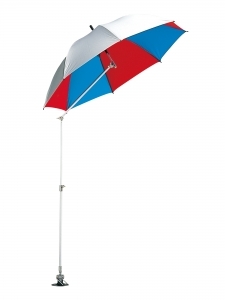 The parasol is 130 cm in diameter.